If you haven’t figured it out by now, these five observations make it abundantly clear that Africans, in contrast to the typical Western viewpoint, place a high value on interdependence rather than independence in financial matters. Observation 6: The fact that most people are overextended financially produces profound effects on society. Observation 7: Being involved financially and materially with friends and relatives is a very important element of social interaction. In stark contrast to Western norms, where one generally attempts to leave the exchange of money outisde the bounds of friendship for the sake of preserving the relationship, Africans consider this exchange of means a defining element of a close affinity. This becomes a special problem for Westerners seeking to integrate into an African community. Africans tend to have a good grasp of who is within their social circle and who is not. For Westerners, these distinctions can be much more nebulous. Because we have no blood ties, and probably come from different economic strata, it can be a frustrating project to determine who we ought to be beholden to. Further, the disparity of resources between us and our neighbors makes a reciprocal relationship a very difficult thing to acheive. 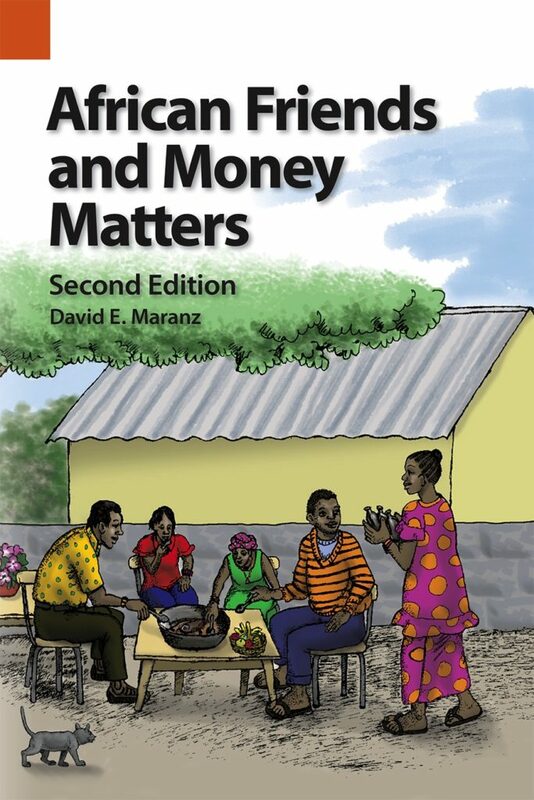 Observations 8: Africans assist their friends who are in financial need as a form of investment for those future times when they themselves might have needs. This arrangement constitutes a virtual banking or savings system. As seen in previous observations, this economic interdependence takes the place of a banking system for most people in our region. In Karamoja, there are no banks, and even where they are found, they tend to be useful for people with greater resources, not for smallholders. So people in our area, rather than budgeting for the future, end up giving out their surplus to needy friends and relatives with the expectation that when they have a bill to pay, these people will be obligated to help them cover their needs. Observation 9: The financial implications of friendship and solidarity go beyond immediate friends to include secondary relationships. One interesting situation that I encounter often in my work in Karamoja is someone I know bringing, say, a bicycle from an unknown person to be fixed. In essence the the intermediary exists as a member in both my social circle and the requester’s, thus extending the requester’s social circle to include me. Social norm dictates that the intermediary is vouching for this person and I therefore ought to help them. In this way, Africans are able to extend their social and financial networks beyond their immediate circle of friends and family. Observation 10: Not all Africas follow the normal and accepted financial principles of sharing that society dictates, but people who do not do so pay a very heavy social price: they are shunned and marginalized by friends and relatives. Few can afford to live in this way, but those who have the financial means to do so (especially those who live in cities, where this effect is less pronounced) may choose ostracism over the constant stream of requests. The African system is very self-levelling, and those who manage to rise above the mean face the temptation to exit the system in order to maintain their advantage, but this choice comes with a heavy price. Especially as those who have come to minister—in effect to build social relationships—we walk a fine line between being taken advantage of and participating meaningfully in common social structures. We are forced to navigate these waters as best we can, and to some extent forced to go two miles for the sake of the Gospel. May God give us grace to do so. All very interesting. This line “interdependence rather than independence” reminds me of what I learned about the Amish from when I lived in Ohio. They are not against technology, for instance to buy a tractor to increase the community’s productivity is fine, but to buy a tractor to increase your personal wealth and independence from the tribe, and decrease your dependence on the tribe, that is Very Bad. So here’s a hard (possibly impossible) question to answer: is this attitude towards economics sinful (because at worst, it seems to foster laziness and irresponsibility)? Or is it good (because at best it shows what a loving Christian family might look like)?